I don't know why - it's like we never learn - but we always end up buying too many bananas, and they always end up overripe! I wanted to try a different kind of recipe with the bananas, since I've already tried making muffins, bars, bread, and even cookies. I decided to make Blondies after seeing this recipe on Cookies and Cups. 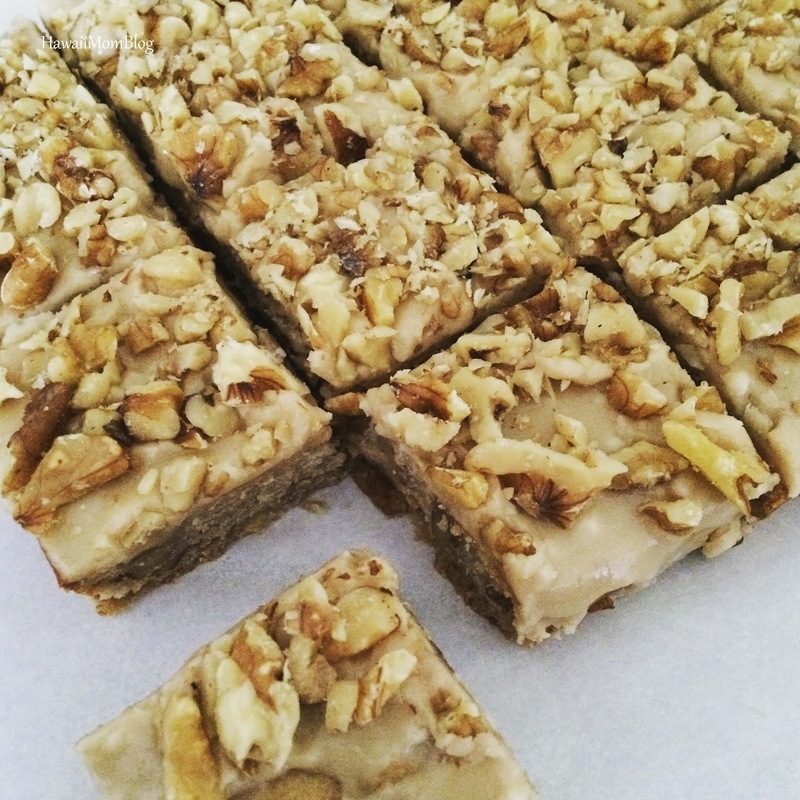 I topped the Blondies with Brown Sugar Frosting and Chopped Walnuts, and they were amazing! It's definitely one of my new favorite recipes! In a medium bowl, combined melted butter and sugar. Stir in salt, flour and banana. Cool completely before frosting (see recipe directions for frosting below). Mix in powder sugar and whisk until smooth.